Tom van Nuenen is Assistant Professor in Online Culture at the Department of Culture Studies, Tilburg University, the Netherlands. He has held visiting positions at Berkeley, Western Sydney University, Copenhagen University and Shanghai International Studies University. Tom’s research focuses on touristic experiences in algorithmic culture; he investigates platforms such as blogs, review platforms, and video games. His articles have been published in Tourist Studies, The Journal of Popular Culture, and Games and Culture. It was the late 1950s when a young Shigeru Miyamoto started discovering the bamboo forests and caves outside his home in the Kyoto countryside. Harnessing the sense of awe and excitement he felt on these trips, he produced the 1986 NES classic The Legend of Zelda, which would become one of the most popular video game franchises in history. The series’ origin story has become somewhat of a legend in itself, retold by fans and journalists alike (cf. Sheff, 1993). Miyamoto has described the first entry in the Zelda series with the metaphor of a “miniature garden” (Paumgarten, 2010) which players could put away and pick up again at will. This is a fitting metaphor for the top-down world that players of the 1986 classic traversed; but the world of Zelda has, throughout the years, been expanded to include complex three-dimensional representations. Many of the same landmarks in the fictional realm of Hyrule are still there—the Lost Woods, Death Mountain, and so on—but have been rendered with ever-increasing computational force over the years, accruing rich intertextual links along the way. This march towards graphical verisimilitude is to be expected: in games, there is a close relationship between advancement of the medium and advancement of its underlying technology and production processes (Sawyer, 2002). In the case of the Zelda series, every instalment is couched in the technological affordances of the medium, from graphics to gameplay to sound. In this essay I will argue that Zelda utilizes these new affordances in order to reiterate the experience connected to the series’ first installment—one of childish excitement—yet reimagined and restructured to fit the developing affordances of the medium. To see how this process works, I look at two titles in the series: Ocarina of Time (1998) and Breath of the Wild (2017). I focus on the design aspect of spatial representation, which between these two games involves a shift from dilation to saturation of space. The concept of spatial representation helps to explain why some games “feel” completely different a few decades after their initial release, and how players can lose touch with the sense of childish excitement originally evoked by each game’s procedural, communicative functions. Ocarina of Time (OoT), the first 3D Zelda offering released in 1998, stands as one of the most heralded games in history, receiving near-perfect scores by journalists. Some contemporary players, however, have claimed that the game is overrated and there has been pointed commentary about the lack of activities to engage oneself in whilst traversing space. This retrospective valuation can, in part, be explained as a function of spatial dilation. OoT was the first Zelda game to offer players an interconnected world to explore in three dimensions. As such, it foregrounds a sense of magnitude and openness, which are achieved through the mechanics of what we could call ‘spatial dilation’. These are design practices in which space is represented to seem larger than it actually is. Such choices of spatial design were made, in part, because of the technical limitations of the Nintendo 64’s hardware. The actual map of OoT’s Hyrule, for instance, has been calculated at only 0.4 square kilometers. Crude as this game world may appear to the current-day player, its design can be seen as a strategy to ultimately evoke what Edmund Burke (1759) has called the ‘artificial infinite’: a suggestion of infinity or boundlessness that occurs when one is confronted with uniform repetition, or over-sized objects whose bounds we cannot perceive. Such objects “impress the imagination with an idea of their progress beyond their actual limits” (1990: II: IX, 68). This illusion of boundlessness is mainly maintained through the world’s relative emptiness, and its limited actionable objects and encounters. It is enhanced by the high degree of asset recycling, seen in trees, bushes, and walls, and the monotonous and repetitive tiles used in the landscapes. Here we see how the changing affordances of the medium determine how such strategies are interpreted by the player. 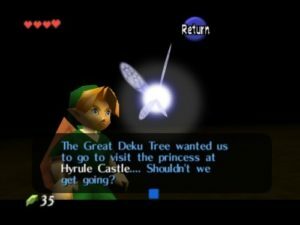 OoT’s spaces, which seemed large and overwhelming to the early Nintendo 64 player due to their repetitiveness, in retrospect can be considered boring for the very same reasons. The sense of magnitude produced in OoT seems to have necessitated a form of navigational control. These are commonly filed under the term ‘hand-holding’, for which Zelda has become somewhat renowned throughout the years (cf. Sarkar 2013). 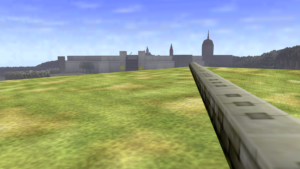 One result of OoT’s hand-holding is a tension between player-initiated exploration of its space, the series’ original approach to mobility through intrinsic motivation, and its restriction by navigation, in which the player is guided by the game. The many concerned cries of Link’s companion in OoT, Navi—her very name referring to her function of navigator—posed a fundamental boundary to the artificial infinite fostered by the game. Such gameplay-interrupting sequences clash with the ludo-narrative setup of the journey (elf boy finally gets to discover the world, music swells as he leaves his paternal home, etc.). Another meaning of ‘childishness’ appears here: every child knows how annoying it can be to have some vigilant overseer on the lookout when they simply want to go explore. 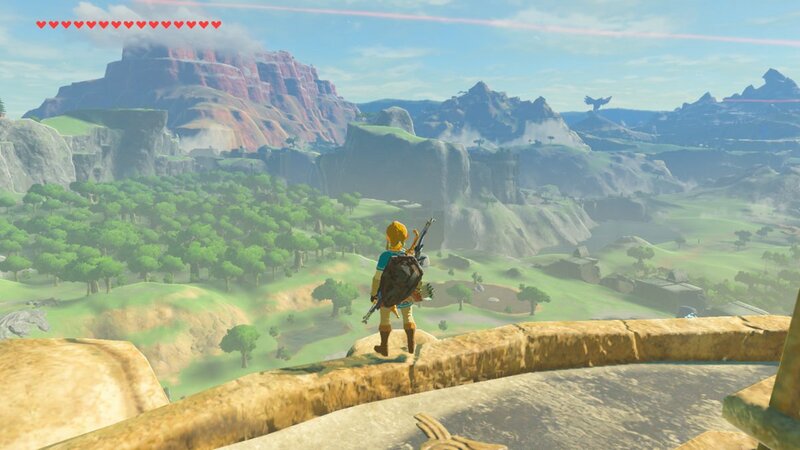 Breath of the Wild (BotW), to the surprise of many a Zelda fan, introduced an open-world approach to the series. Following sandbox games such as Grand Theft Auto, Far Cry, Assassin’s Creed, and so on, BotW engages in a number of contemporary spatial game design practices, of which diversity is the first. BotW has been estimated to count around 61 square kilometers—the size of a modest town. However, and in contrast to OoT, this territory is saturated with wildly differing environments, coastal regions, jungles, deserts, mountains, pastures, and so on. It is diversity, not monotony, that produces a sense of size here. The mapping practices in BotW explicitly assist in producing the impression of expansiveness. The game mimics a feature from Far Cry: players can climb towers and as they do, the ‘fog of war’ is lifted and the map is filled in. But here, the main advantage of having an overview is that players themselves can see and mark the views that look interesting to explore—either on the map itself or based on what they see as they roam around, or climb the game’s towers. Players thus engage in a ceaseless inspection of their environment. Foucault, summarizing such panoptic mechanisms, noted that it “arranges spatial unities that make it possible to see constantly and to recognize immediately” (2012: 195). BotW adopts this panoptic function as a design principle, removing most signposting or hand-holding in navigating the spaces it presents, and offering a degree of explorative agency instead. The game’s mapping system, in Michel de Certeau’s words, makes especially possible “a panoptic practice proceeding from a place whence the eye can transform foreign forces into objects that can be observed and measured, and thus control and ‘include’ them within its scope of vision” (1984: 36). Such mapping can transform a space from something we are a part of, to something we can read. De Certeau contrasts the ground-level experience of being immersed in a city to seeing its image from a distance, “lifted out of the city’s grasp” and “looking down like a god” (92). Viewed from a distance, Hyrule becomes a map, saturated with actionable events to be read and captured. This sensation, again, can be exemplified by the first moment in which Link enters the overworld. The camera zooms past the bushes as he walks outside and to a cliffside, offering an overview of the land with—much like in OoT—the castle and Death Mountain taking center stage. This may at first sight seem antithetical to the idea of childish exploration: adding markers to interactive maps is a practice that current-day tourists will recognize from their technology-aided trips—a practice thoroughly encapsulated in the utilitarian logic of modern-day tourism. However, the innovation of BotW lies predominantly in its continuous oscillation from immersion to overview, in which the player acts as a “cartographer on tour, as Sybille Lammes once noted (2009: 255). This means we should be careful to read these mapping practices as forms of rationalizing manipulation. The cover art of BotW itself belies a kinship with Romanticism—the perspective, the clouds, even the location of the mountain on the right referencing Romantic-era artwork. It is helpful, here, to consider the difference between spatiality understood in the tradition of Enlightenment and that of Romanticism. The master examiner of the latter movement, Goethe, wrote of this difference the in Elective Affinities (2008 ). He depicts a wealthy aristocrat passing through his garden to meet his wife. The attentive reader notices two types of gardening: one is classicist, belonging to the Enlightenment, in which the garden is clearly demarcated, manipulable, efficient, and purposeful. The new part of the garden contains winding paths following nature’s whim, and the romantic wooden summer-house. The view is intuitive, encompassing natural forms and expressions. In Dutch, we might say it is now about uitzicht (“out-view”), not overzicht (“overview”, cf. Doorman 2012). It is this Romantic gaze that BotW invites its players to develop. It insists on mapping as a product of experiences “down below”, as De Certeau calls it. Players are continuously surrounded by visual cues that capture their attention. A blue light in the distance flags the presence of one of the game’s shrines—small challenges and fast-travel points. Dense forests likely conceal some treasure or enemy. Players even learn to investigate minute out-of-place environmental traits, such as stray rocks, as they are indicative of one of the games’ collectibles. In other words, they read the mapped landscape playfully, with detail-oriented curiosity, in which every small object can be an index for something else. Tracing these indexical relations is a perpetual treasure quest. They are semiotic practices of wandering and exploring, resisting the strategic order of mapping. 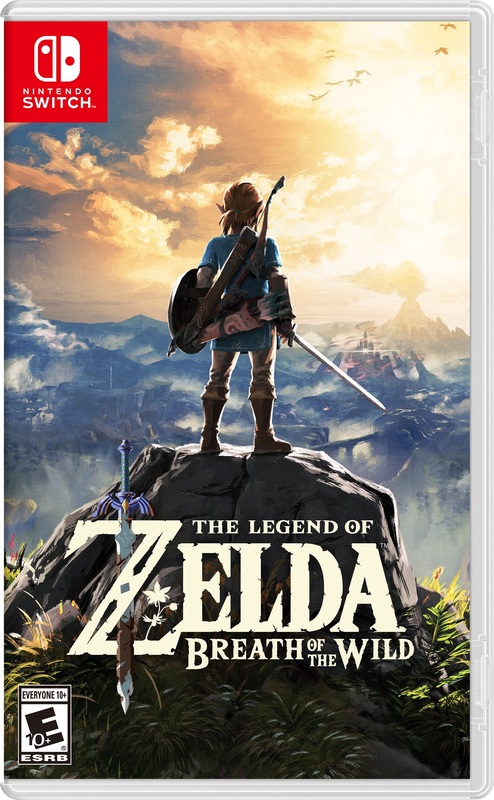 What is perhaps most impressive about BotW is not the presence of all these diversions, but that through the novel mechanics it utilizes, the game ends up invoking the same experience of childish travel as older titles in the series did. A small anecdote might be illustrative here: I was steering Link around on the first horse he’d found when a few stray piano notes started dancing in the background. It was a curious sound, as the game is so silent, favoring ambient sound effects of wind, rain, and fire over the sprawling soundtracks that previously defined the series. Naturally, I felt the music had to signify something contextual, some secret I missed. I dismounted and started exploring my surroundings, but could not find a thing. The music had stopped. The process kept repeating across Hyrule, and it was not until I went for a long ride across the seaside that the mystery solved itself. Those few notes, appearing and disappearing, stabilized as I rode on. Suddenly the violin dropped in and I found myself listening to the game’s classic theme song, which the game had completely withheld for the ten hours I had spent playing it. The game’s theme song, one of its most prized, renowned and iconic attributes, only plays as players are on the move. Instead of the directive function it always had, in which traversing the overworld was the ‘thematic’ experience, the song now is only effectuated while players are doing the very thing the series is about at its roots: wide-eyed and childish exploration. Miyamoto repeated in press interviews prior to BotW’s release that players should see the game’s narrative not primarily in terms of the story, but rather in terms of what the player experiences. These ‘emergent storytelling’ remarks may have sounded timely, but they were not unproblematic. Depending on their virtual sandbox, some developers may feel that they do not need to write a proper narrative themselves, as the player just fashions one out of whatever order they experience things in. But the horseback song suggests that Miyamoto’s team engaged in something very different than some laissez-faire storytelling. In the game’s minute procedural systems, they created a space to be inhabited, once again, childishly, along the lines of humming a soundtrack to oneself while walking down the street. “Games are childish”, says the layperson. The best examples of the medium prove them right. Burke, Edmund. Philosophical Enquiry into the Origin of our Ideas of the Sublime and Beautiful. 1759. Ed. Adam Phillips. Oxford: Oxford UP, 1990. De Certeau, Michel. The Practice of Everyday Life. Trans. Steven Rendall. Berkeley: U of California Press, 1984. Doorman, Maarten. De Romantische Orde. Amsterdam: Bert Bakker, 2012. Foucault, Michel. Discipline and Punish: The Birth of the Prison. New York: Vintage Books, 2012. Goethe, Johann W. Elective Affinities. Oneworld Publications, 2008 . Lammes, Sybille. “Playing the World”. In Joshua Parker, Lucie Tunkrova and Mohamed Bakari (eds. 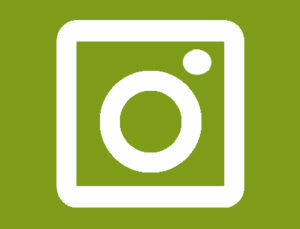 ), Metamorphosis and Place. Cambridge Scholars, 2009. Paumgarten, Nick. “Master of Play”. The New Yorker, December 20 & 27, 2010. Sarkar, Samit. “Zelda’s Aonuma discusses the dangers of games that help too much”. Polygon, Oct 12, 2013. Sawyer, Ben. “The Next Ages of Game Development”. Adrenaline Vault, September 30, 2002.